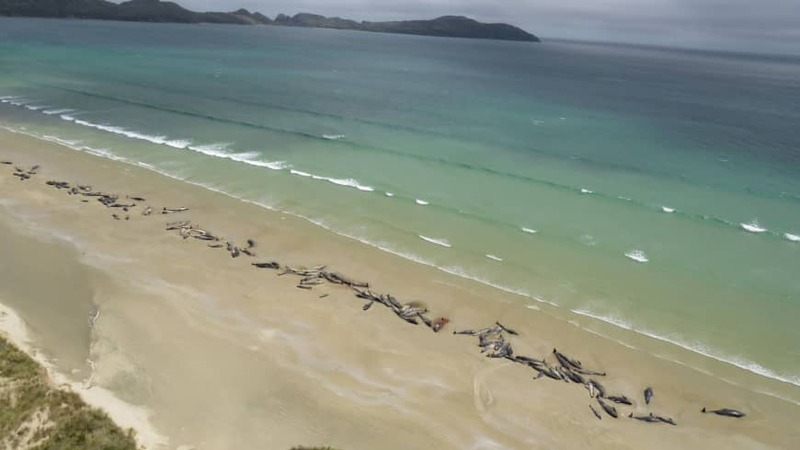 WELLINGTON - Up to 145 pilot whales have died in a mass stranding on a remote part of a small New Zealand island, authorities said Monday. 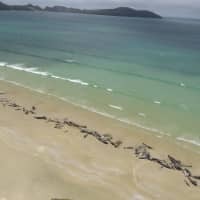 The stranding was discovered by a hiker late Saturday on Stewart Island, 30 km (19 miles) off the southern coast of the South Island. Half of the whales were already dead and due to the condition of the remaining whales and the remote, difficult to access location, the decision was made to euthanize the remainder.